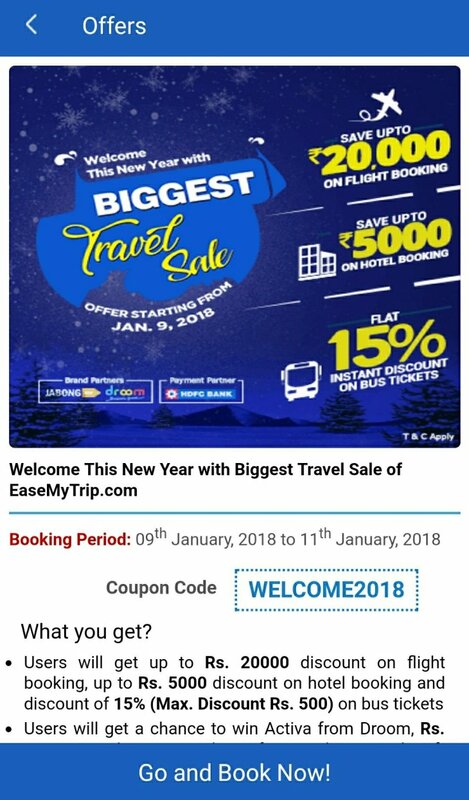 For all travel freaks here is The Biggest Travel Sale of 2018 by EaseMyTrip.com! The booking period of this amazing offer starts from 09th January, 2018 to 11th January, 2018 and this offer is availed by using Coupon code WELCOME2018. People can avail up to 20,000 discount on flight booking, up to Rs. 5000 discount on hotel booking and instant discount of 10% on bus tickets, Not only that You might also get a chance to win Activa from Droom, Rs. 50,000 Exclusive Vouchers from Jabong and Gift Vouchers worth Rs. 8000 from various brands. 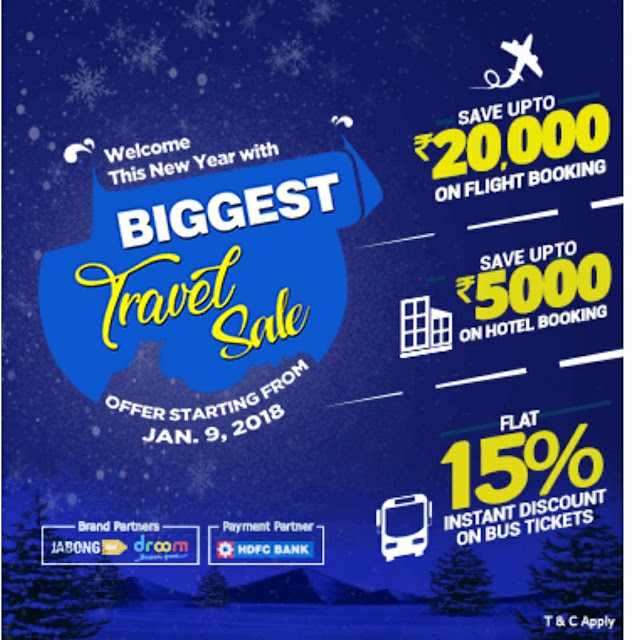 To avail discounts, just book flight tickets, hotels and bus tickets for preferred destination by applying coupon code: WELCOME2018. This offer is for all new and existing customers of EaseMyTrip.com. Hurry as this offer is valid for limited period & the sale is valid on flight, hotels and bus bookings. You can get additional cash back on transactions done through HDFC Bank credit/debit cards (only on Retail Credit Cards). So hurry!! For cheap flights check out the app. Book your preferred holiday destination , and get discounts, offers, chance to win big prizes too !!! !